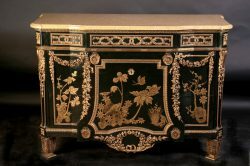 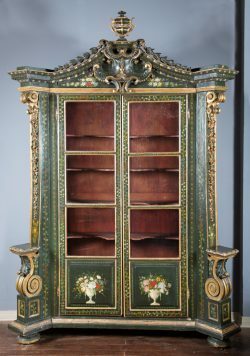 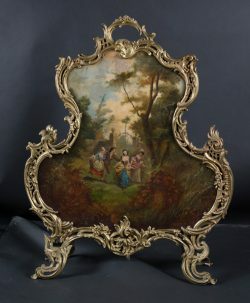 Exquisite 18th Century Austrian painted two door cabinet decorated with a floral motif, adorned with gold leaf carvings, paned with the original glass, and unusual curved shelves specially carved to display fine platters and dish-ware. 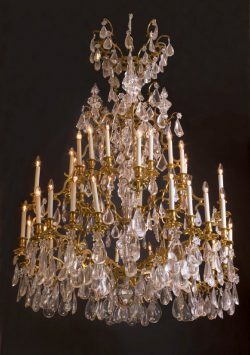 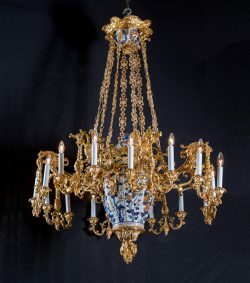 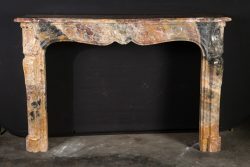 Large 19th century French Louis XV mantel of rare “Breche Medous Jaune” marble from the Pyrenees, intricately carved with shell in center of the apron, contour shelf, and carved front sides. 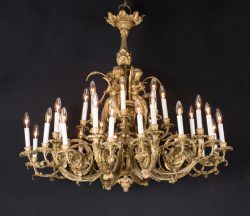 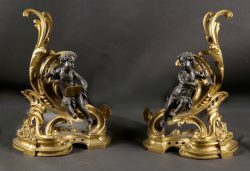 Magnificent 19th century French Louis XV bronze chenets with patinated bronze putti representing Art and Literature. 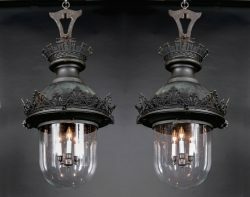 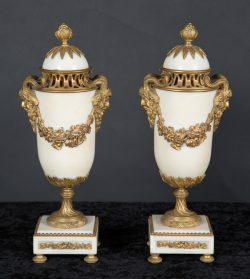 Pair of French 19th century Louis XVI white marble footed cassolettes adorned with bronze mounts of horned head of Bacchus on sides, swags of grapes garlands on front and back, with finial that is a bunch of grapes on marble top.